The Stove Network is a membership based arts-led project contributing to the regeneration of Dumfries. The Stove aims to use the arts (music and performance, film and sound, writing as well as public art) to engage and mobilise people as agents of change for themselves and the society and places they live in. Based on the main square in Dumfries, the Stove is working through a range of projects and initiatives connecting with local issues, engaging residents in imagining futures and in building them. The Stove Network operates within a fully accessible public arts premises, located at 100 High Street, Dumfries, Scotland, and is situated adjacent to other cafes and shops within a community environment. Support creative career development and the potential within people to become active citizens in society. Work in partnership with others to create a new TOWN VISION for Dumfries and cultural vision for South West Scotland, and be part of implementing these. 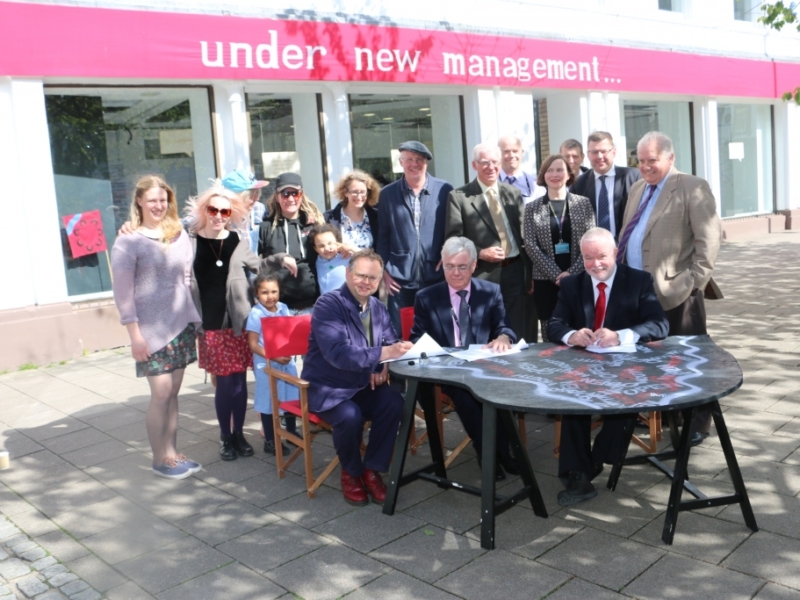 In 2016, The Stove Network received the Scottish Urban Regeneration Forum (SURF) Award for Creative Regeneration and were appointed as the Community Development Trust for Dumfries Town Centre, responsible for organising opportunities and activities within the area. The space is fully-accessible and encourages the community and wider district to utilise the facility. This space encourages community participation and collaboration with organisations. 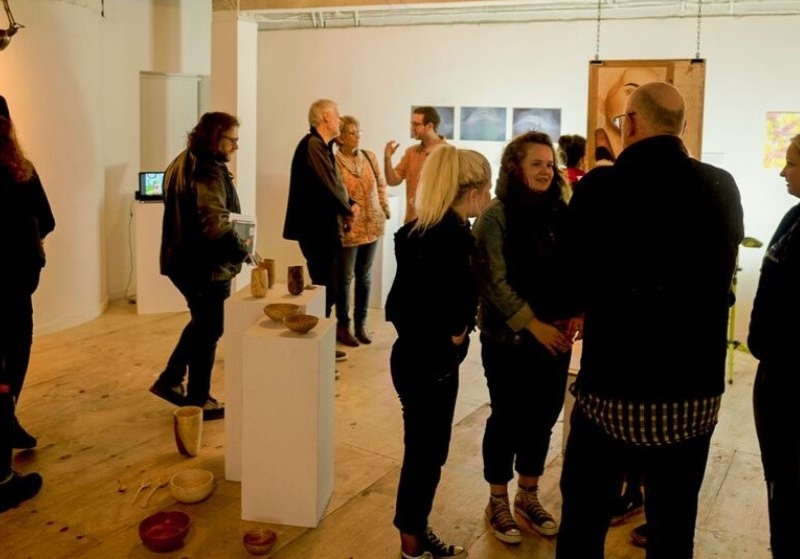 Before the establishment of the space in 2015, The Stove Network acted as a network, recruiting members locally, creating a cultural community. Community support was essential when presenting plans to stakeholders. Although based on the High Street, The Stove Network works across the region, building partnerships and collaborations locally, nationally and internationally. The building acts as an artistic hub for the area, providing the community with an awareness of contemporary creativity and socially engaged, public art. The Stove Network hosts Blueprint100, a group which supports young creatives and emerging artists under thirty years of age. 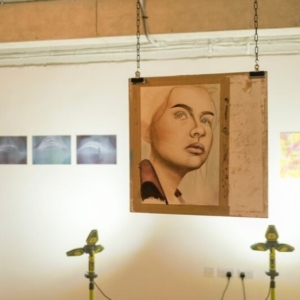 The programme provides emerging artists with experience, working within a professional, creative environment. 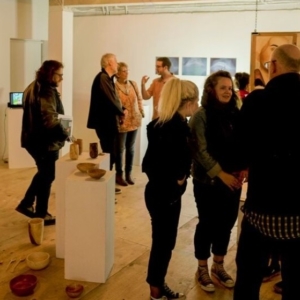 The group are encouraged to take part in ongoing projects, conducted by The Stove Network, which involve community participation, providing members with an understanding of socially engaged art. 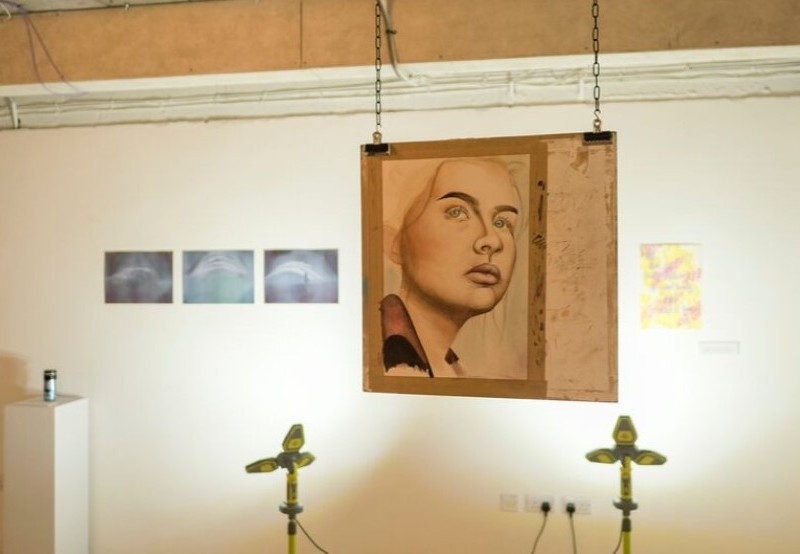 The young artists have opportunities to network with local artists, national artists and other creative organisations. In addition, Blueprint100 guides participants throughout the process of creating an art portfolio and assists students pursuing higher education and vocations. 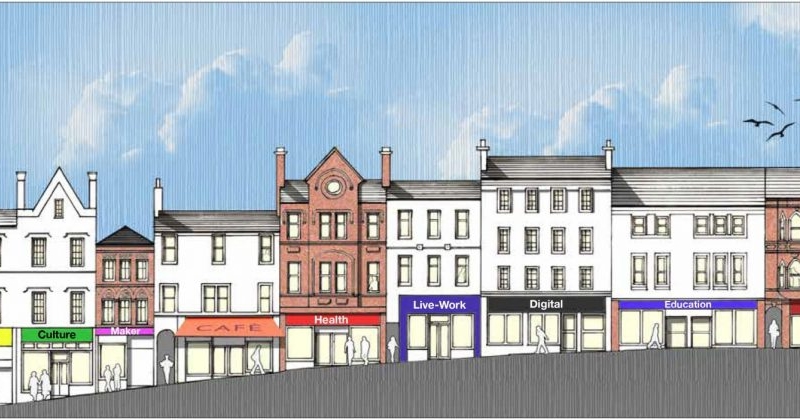 The Stove Network leads the community’s bid to ‘reclaim’ the Midsteeple Quarter in Dumfries Town Centre. Numerous derelict, neglected buildings characterise the area, owned by absent landlords and property portfolio organisations requesting excessive rental rates and refusing to invest in renovation. The focus is a cluster of eight buildings which will be rehabilitated as homes, social enterprises and small, local businesses. 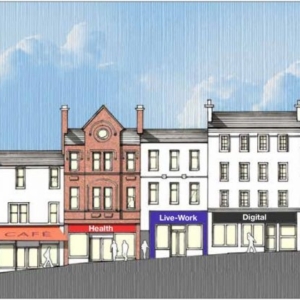 Through the project, The Stove Network and members of the community will assist in the refurbishment of these buildings, transforming the image of the town centre. The project has huge community support, with over 300 participating and joining the Community Benefit Society, known as the “Doon Toon Army.” The project was initiated as data analysis revealed that the rate of shop openings in the UK were at their lowest rates. The community was ambitious to repurpose vacant shops creating more opportunities for the town. The launch event to promote this venture took place in April 2018 where the public were invited to learn more about and support this development. The Dumfries and Galloway Council and The Scottish Government have voiced their support of the idea. One council owned building will be contributed to the community by 2020. The Stove Network space on the High Street is owned by Dumfries & Galloway Council and leased to on a peppercorn rent. The Stove is curated and managed by creatives with a combined knowledge of public and visual art, music, theatre, directing and writing. The Curatorial Team describes themselves as a “collective artistic director.” These curators work in conjunction with a Project Team, responsible for running commissions and an Operations Team, appointed by the Board for executing the curators’ vision and managing finances. The Stove Network is a membership organisation with approx. 500 members and a board of trustees. The Art Programme is directed collectively by the Curatorial Team, with a wide group of associates who lead on individual projects. Curatorial Team: Katie Anderson, Matt Baker, Katharine Wheeler and Martin Joseph O’Neill. Operations Team is led by Ailsa Dickson. The Board is led by Tony Fitzpatrick. The organisation works with young people, the local community and creative, artistic groups and individuals. The Stove Network organises the creative group, Blueprint100, for individuals under 30, five of which are now self-employed creatives in the area. In 2017-2018, The Stove Network provided at least four events each week. Over this period these events hosted over 4700 participants, over 9500 spectators and collaborated with more than 150 organisations. The organisation created many salaried opportunities to the community by attracting ‘young returners’ (as a rural area many young people leave the area initially). In addition, The Stove space provides employment for over 20 people through the café and co-working and project spaces. 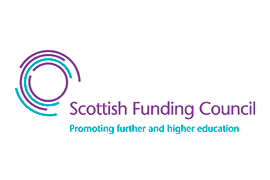 The range and scale of The Stove Network’s engagement was noted in the recent HMIE Inspection of Community Learning and Development in Dumfries and Galloway. The organisation works in partnership with several international arts organisations, including Vestfold Kunstsenter (Tonsberg, Norway), BRG Collective (Braga, Portugal) and Ljistijosi (Iceland). 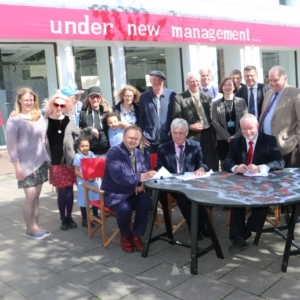 The Stove Network demonstrates the potential for arts-led regeneration. Projects such as The Community Benefit Society suggest that community interaction and participation can generate significant regeneration. Socially engaged, creative activities and events can attract people to engage in causes such as this in unexpected ways. As more people take interest in these affairs, there is a higher possibility of these concerns being addressed and ultimately solved. The project demonstrates that establishing public support is essential for generating new, creative opportunities and organisations within communities. The programme suggests that creative perspectives and processes can facilitate beneficial outcomes within communities and organisations, not only culturally, but socially, environmentally and economically. ‘Bounce Back’ was funded by the Development Trust Association Scotland and donations. ‘Our Norwegian Story’ was funded by the Heritage Lottery Fund. ‘Creative Futures Lincluden and Lochside’ is funded by the National Lottery. The remainder of The Stove’s funding comes from paid commissions and projects, funding from private and public sources, partnerships with organisations, renting the space to other organisations and revenue from the café within the space.